Cold seal machines are designed to instantly seal by the use of pressure versus heat to create strong lightweight pouches that will reduce product movement during shipping and handling. The packaging media sticks to itself and not the product. 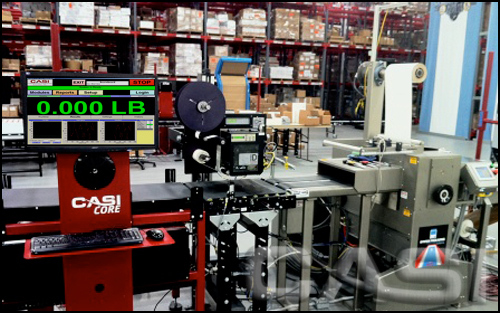 Walz Label & Mailing Systems integrates cold seal machines with standard CASI systems including TransMaster conveyor, scanning, CASI checkweighers, sorters, and SolidSuite fulfillment software. Manual processes such as hand picking and packing items into boxes, cartons, poly bags, bubble or padded mailers may be replaced with an automated cold seal shipping system to produce significant savings. Material savings: many customers may replace cartons, boxes, mailers, bags, tapes, void fill, etc. 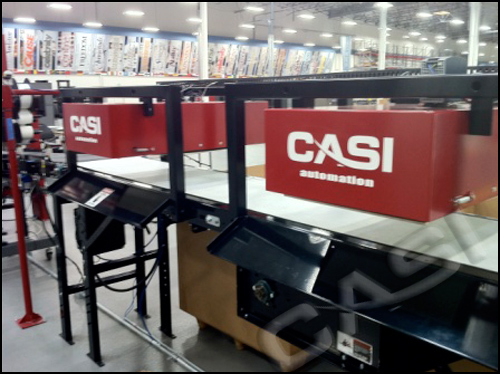 Walz Label & Mailing Systems offers all CASI manufactured and integrated components necessary to create a complete cold seal shipping system including conveyor, checkweigher, and software interfaces. Walz uses off the shelf print/apply and scanners to complete a system fully built and tested iin house before it ships to the customer site. Walz Label & Mailing Systems solutions include labor saving systems including conveyors, automatic box opening, product inspection systems, product sortation and RMA processing software. These tools enable us to provide exceptional ROI for our customers.